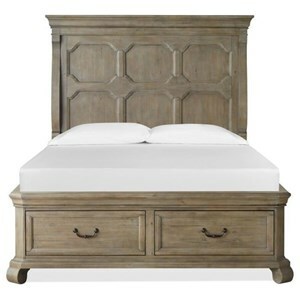 This gorgeous cherry wood panel bed with storage will transform your bedroom into a relaxing retreat.The bed has an updated traditional feel and a beautifully detailed headboard. 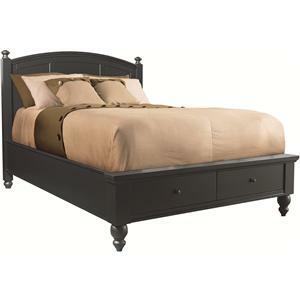 This piece is distinct but not fussy. 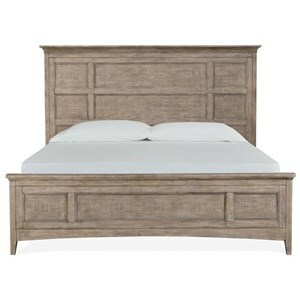 With convenient side rail storage with two drawers on each side, this bed is a functional choice. 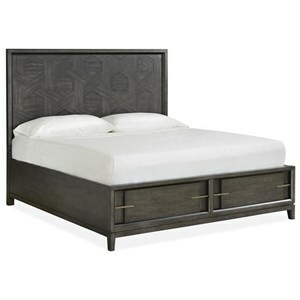 The Harrison King Panel Bed with 4 Storage Drawers by Magnussen Home at Mueller Furniture in the Lake St. Louis, Wentzville, O'Fallon, MO, St.Charles, St.Louis Area, MO Furniture Store and Belleville, Shiloh, O'Fallon,IL area. Product availability may vary. Contact us for the most current availability on this product. 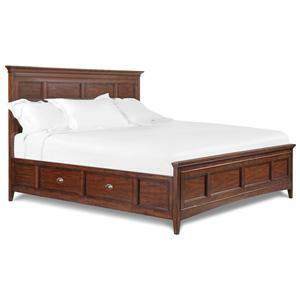 B1398-64B King Panel Bed Storage Rail (1 Storage Rail with 2 drawers) 2 18" 82" 14"
B1398-64H King Panel Headboard 1 82" 4" 56"
B1398-64F King Panel Bed Footboard & Slats 1 81" 3" 23"
Storage 2 drawers in each side rail. 4 total drawers. 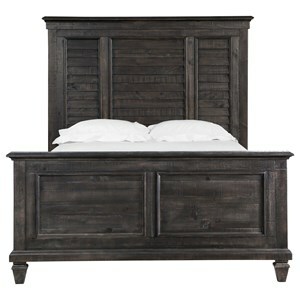 The Harrison collection offers an updated traditional style for your bedroom. 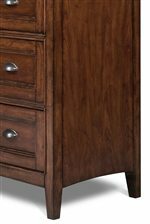 The warm cherry wood finish is complemented by the antique brass hardware. 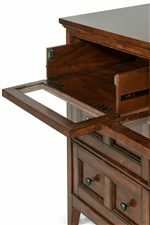 Functional features like hidden under bed storage, and drop down drawer fronts for electronics component storage make these pieces truly special. 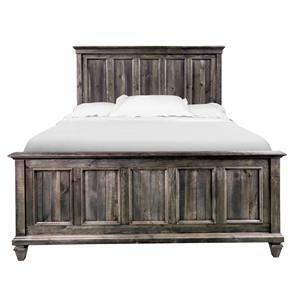 The Harrison collection is a great option if you are looking for Transitional Casual furniture in the Lake St. Louis, Wentzville, O'Fallon, MO, St.Charles, St.Louis Area, MO Furniture Store and Belleville, Shiloh, O'Fallon,IL area. 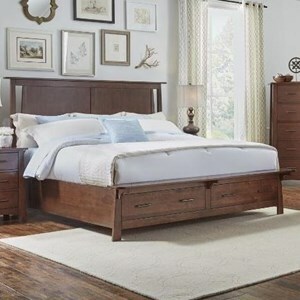 Browse other items in the Harrison collection from Mueller Furniture in the Lake St. Louis, Wentzville, O'Fallon, MO, St.Charles, St.Louis Area, MO Furniture Store and Belleville, Shiloh, O'Fallon,IL area.